Pricing on Enriching Gifts International products is MSRP. You will need to add products to your cart to receive our best pricing. Vitamin B12 Complex. The best B12 supplement is now improved. An all natural blend of herbs, minerals and enzymes that may be helpful in fighting candida. food available to us today. D3 Genix Vitamin D3 Nascent Iodine - 1oz (2% Strength) Zinc Plus. 90 count bottle. Vitazyme. 120 count bottle. ProDophilus. 30 count bottle. Gastro. 90 count bottle. Folic Acid/B12 Plus. 90 count bottle. Fiberzyme. 120 count bottle. B Complex Plus. 60 count bottle. Glucosamine Chondroitin MSM Plus. 60 count bottle. Enflamizyme Plus. 90 count bottle. Calcium Magnesium and Potassium Plus. 90 count bottle. Nattokinase Plus. 120 count bottle. Protease. 360 count bottle. Protease. 180 count bottle. Digestive. 135 count bottle. Amylase. 90 count bottle. 133 double blind studies show that Sterols relieve degenerative conditions. 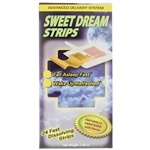 All natural sleep aid with Melatonin. Contains 8 strains of friendly bacteria - replenishes friendly flora bacterial. Red Algae is the highest antioxidant known to science! A complete herbal blend designed to support daily body cleansing and elimination. A comprehensive Vitamin, Mineral, Anti-Oxidant and Anti-Aging formula supplement.